Day 3 and I'm up to 1000 miles! I thought it'd be tough to match the curious formations of Hobgoblin Playground in Southern Nevada but on my way through Southern Utah I found another incredible sight. 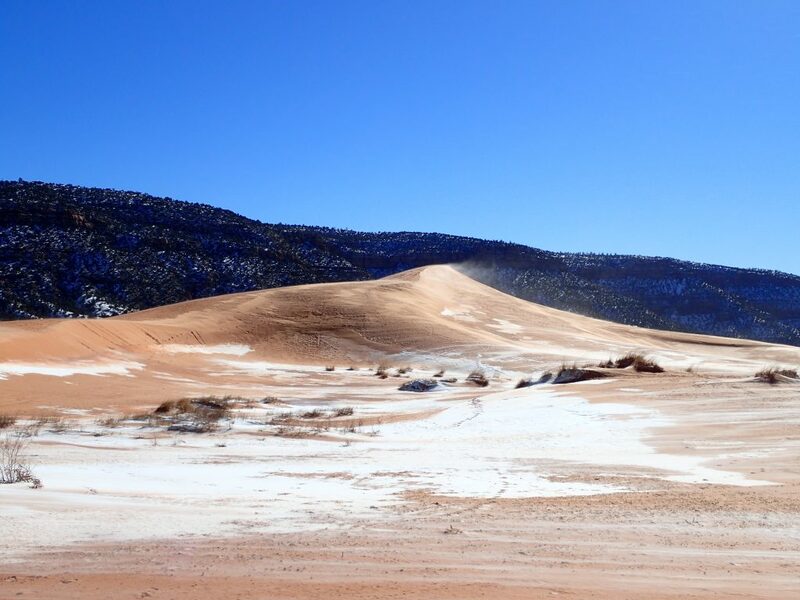 With its proximity to famous places like Zion National Park and Bryce Canyon, its easy to miss the Coral Pink Sand Dunes. But I'm so glad I didn't on my journey through the Southwest! Well I've seen the White Sands of New Mexico and the black sand beaches of Hawaii- who's heard of pink sand? I discovered that the pinkish hue of the sands is simply pulverized Navajo Sandstone. The color might as well be state-designated in a place like Utah; its everywhere! But in this extremely windy place, the brittle sandstone does not last. Hence we have the dunes. A bit like Mars, no? By Southwest standards, this is a very easy park to get to! 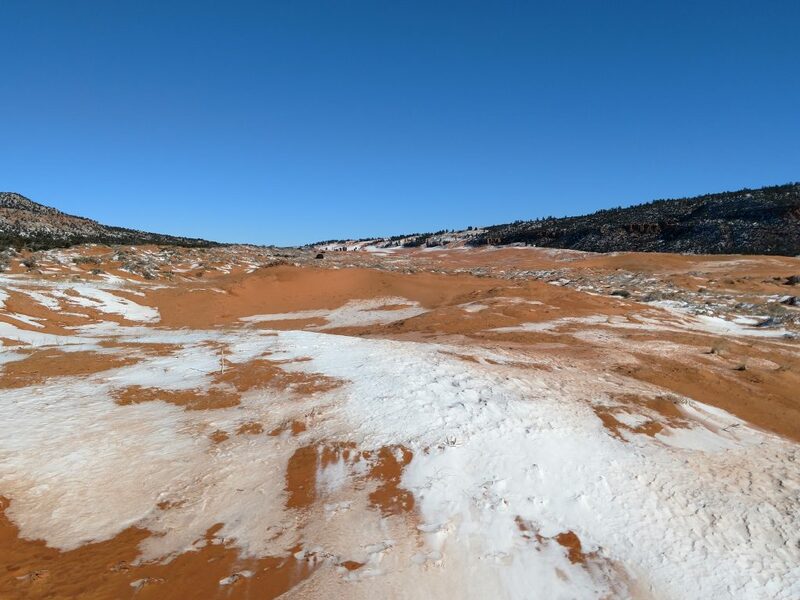 Is about 1 hour southeast of Zion National Park and off a paved county road. If you're driving from Zion National Park to Bryce Canyon National Park, its just a 20 minute detour. 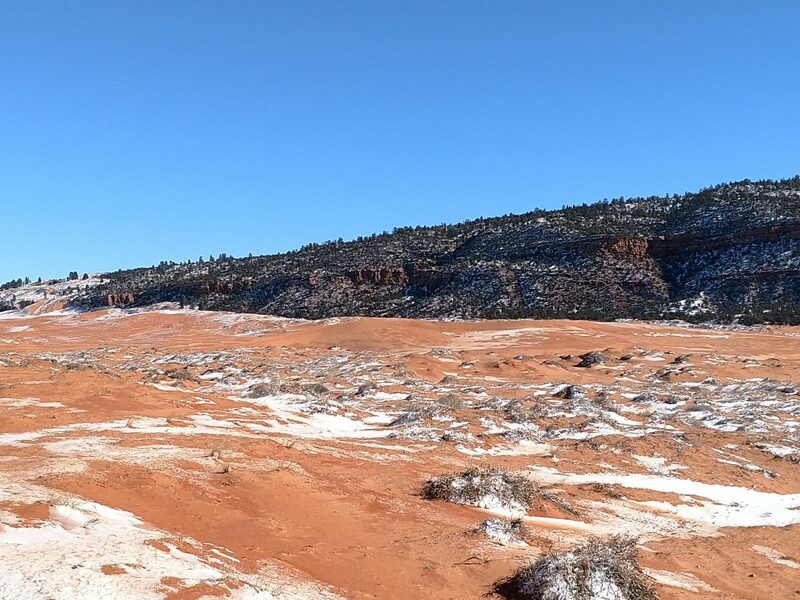 Its also a half an hour west of Kanab, Utah which is a fantastic base camp for exploring Southern Utah. In spite of the seemingly delicate nature of the dunes, its basically a chose-your-adventure kind of a place. There aren't established trails and aimless wandering is totally permissible. 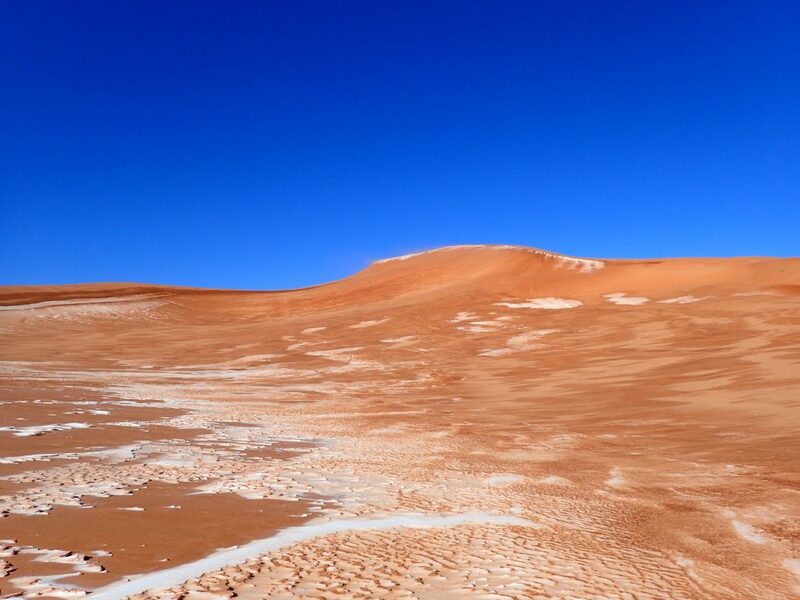 In the summer, you can hit the dunes on an ATV or even a sandboard. Winter is a quiet time for the park. No visitor center nor concessions were open but there wasn't a single person in the park either. I parked at the main lot and just roamed about. I'd love to come back in the summer and try my hand at sandboarding. Its apparently a lot like snowboarding but with slightly less control. Either way, this is a park you can't miss if traveling through Southern Utah!